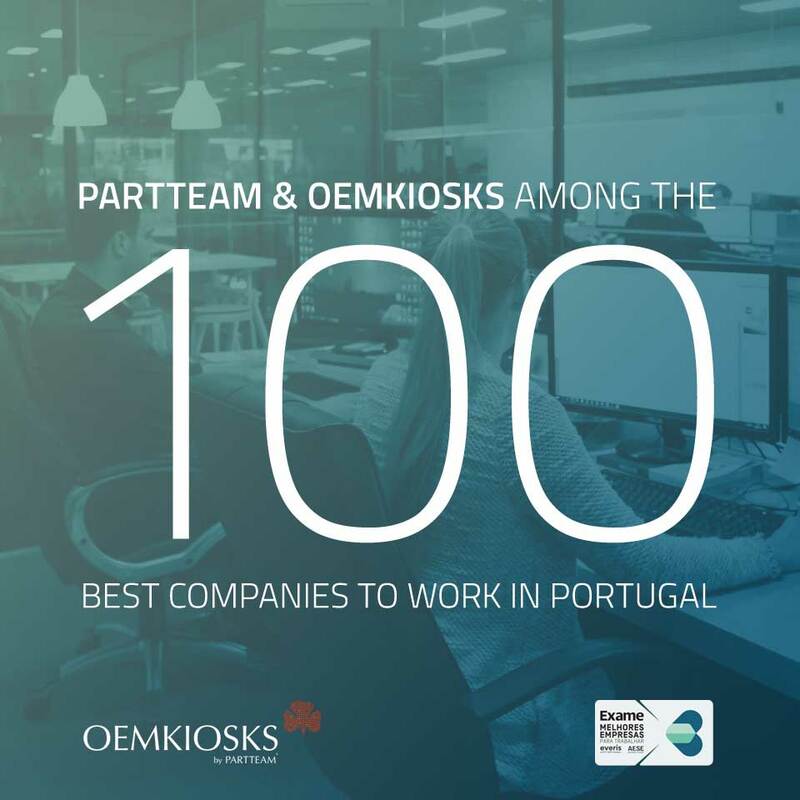 PARTTEAM & OEMKIOSKS is candidate to "Best Companies To Work"
PARTTEAM & OEMKIOSKS is candidate to be one of the best companies to work in Portugal in 2018. With more than 18 years of experience in the technological sector, PARTTEAM & OEMKIOSKS is today an internationally recognized company. A benchmark of quality and safety in the development and manufacture of digital billboards, multimedia kiosks, self-service equipments, interactive tables, queue management solutions, among many other projects that highlight and affirm its growing reputation. As a leading, modern and innovative company, PARTTEAM & OEMKIOSKS constantly seeks to implement the best safety, ergonomic, satisfaction and well-being practices for its employees. An example of this is the organization of various events and policies, which promote social interaction, sport and environmental sustainability. Concepts of vital importance for the physical and psychological well-being of the worker, reflecting on the modern and prosperous society in which we live. The election of Best Companies to Work for is an initiative developed by EXAME magazine, in partnership with everis consultancy and AESE Business School. It analyzes the overall satisfaction rate of employees in their workplace, their degree of commitment to the company, and the company's responsible performance in society. We look forward to the final result of the application. PARTTEAM & OEMKIOSKS and its employees are proud of this important reference, which highlights the work, culture and values ​​of a strong and united company!